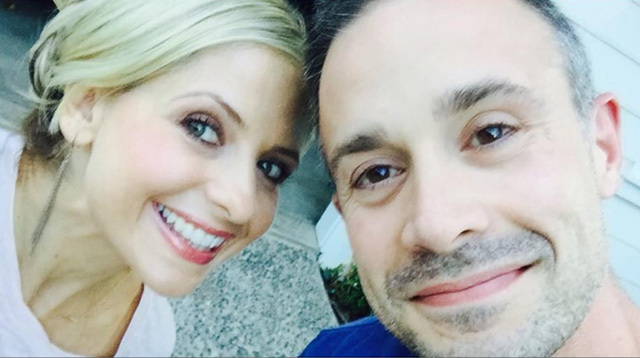 Sarah Michelle Gellar and Freddie Prinze Jr. just celebrated their 13th year as a married couple—a LIFETIME in showbiz years! The teen king and queen of the late '90s showed some luuuurve online with these super sweet posts. After all these years, they still are the cutest everrrrrr. And Freddie was so adorable with his tweet to his wife! @SarahMGellar all with minor casualties... Go us!!! Sarah Michelle and Freddie tied the knot in 2002 and have two children, Charlotte and Rocky. The happily married couple first met on the set of the CLASSIC 1997 teen thriller I Know What You Did Last Summer. Enjoy the trailer!